122 members of the United Nations have voted in favour of a historic global treaty banning nuclear weapons. Netherlands was the only country to vote against it while Singapore abstained from voting. The 9 nuclear powers of the world- Russia, USA, India, Britain, China, France, Pakistan, North Korea and Israel didn’t take part in the negotiations and didn’t cast their vote. The 12th G20 summit being held in Hamburg, Germany saw the leaders agreeing to take concrete steps to stop funding of terror activities and a joint crackdown on the global network of terrorism. The Group of 20 was started in 1999 as a meeting of Finance Ministers and Central Bank Governors post the South-east Asian financial crisis. India plans to invite 10 leaders from the Association of Southeast Asian Nations as chief Guests for the 2018 Republic Day celebrations, the first Republic Day event to have multiple chief Guests. ASEAN consists of 10 countries namely- Brunei, Cambodia, Indonesia, Laos, Malaysia, Myanmar, Philippines, Singapore, Thailand and Vietnam. India and Bangladesh have agreed to construct a bridge over Mizoram’s Khawthlangtuipui river to initiate and encourage trade and communication between the two nations. Harinder Pal Sandhu from India has won the South Australian Open squash title after defeating Rhys Dowling from Australia. National Security Guard has organized the first International Aviation security seminar for all stakeholders involved. The Cell for IPR Promotion and Management under the Department of Industrial Policy and Promotion has launched the ‘Scheme for IPR Awareness- Creative India; Innovative India’, taking forward the National Intellectual Property Rights Policy 2016. The scheme is for raising IPR awareness amongst the young entrepreneurs. 1. Which country is NOT a member of ASEAN? 2. Harinder Pal Sandhu won the South Australian Open for which sport? 3. What is the venue for the 12th g20 summit? 4. Which country is NOT a nuclear power among the options? 5. What is the name of the Scheme for IPR awareness launched by Cell for IPR Promotion and Management? 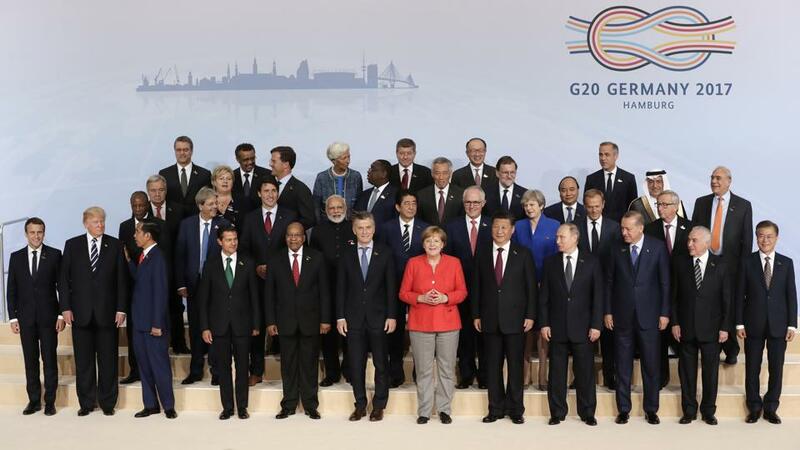 The G20 seems like a place where world leaders go for issuing empty rhetoric and making many false promises while spending the taxpayer’s money on expensive hotels and privileges. Thanks CG!